Alter The Press! 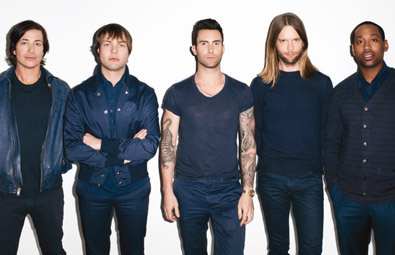 : Maroon 5 Announce New Single "Maps"
Maroon 5 Announce New Single "Maps"
Maroon 5 has announced the release of "Maps," the first single off of the group’s highly anticipated fifth studio album V. The track will impact radio and iTunes on June 16th. The band's upcoming studio album, V, was recorded in LA over the past year and will be released on September 2nd.